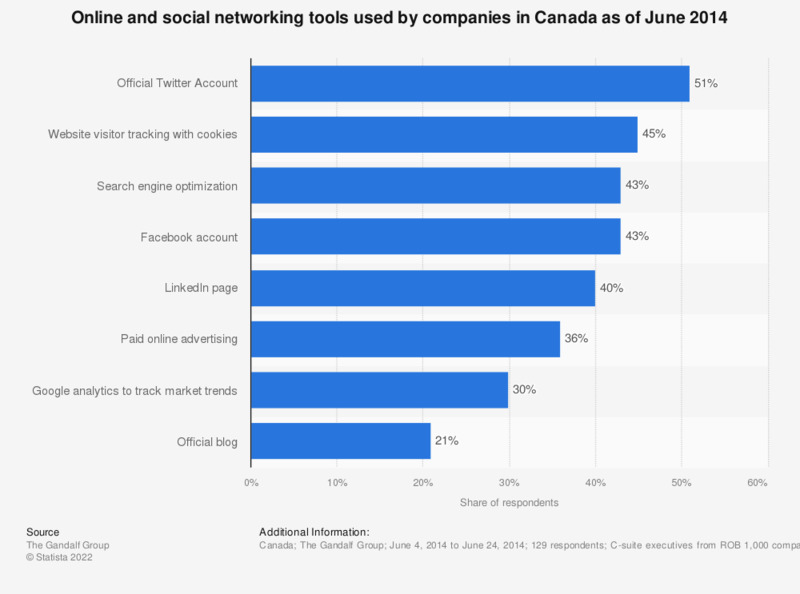 This statistic shows the responses to a survey about online and social media tools used in companies amongst C-suite executives in Canada as of June 2014. During the reported period, 51 percent of executives said that their company had an official Twitter account. Furthermore, 43 percent of executives said that their company had a Facebook account.